Legal experts are dismissing as a political “stunt” a new effort to prohibit the U.S. government from leasing out federal land and offshore areas to fossil fuel companies for oil, gas and coal extraction. 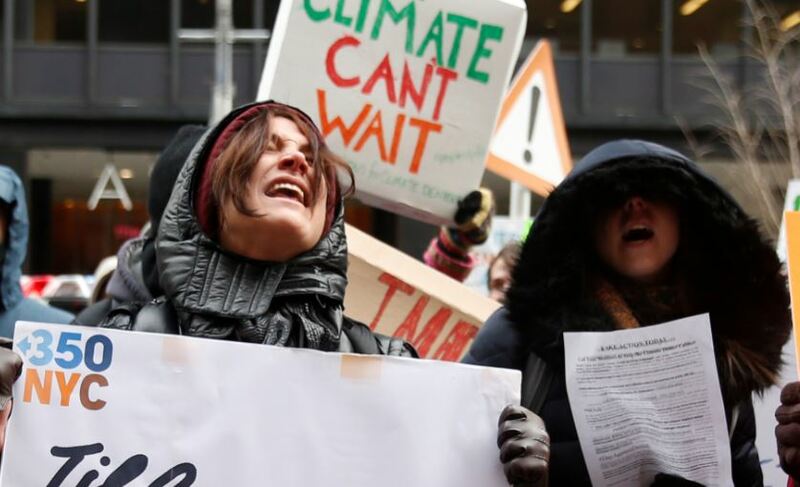 Twenty-one young people suing the U.S. government for supposedly contributing to global warming are asking the court system to block all forms of fossil fuel production moving forward. Lawyers are splashing cold water on the effort, dinging it for being a childish strategy. “Now I’ve seen everything! Demanding that a federal court enjoin energy production across the nation is a stunt, not a serious litigation strategy,” Andrew Grossman, a lawyer with BakerHostelter, told The Daily Caller News Foundation. He also criticized the plaintiffs, who filed their motion Feb. 7 in the 9th Circuit of Appeals, for not first asking their lawmakers to pass laws addressing global warming. Officials have repeatedly asked the court to stop the suit through a writ of mandamus, a legal tool allowing a higher court to overrule a lower court before a verdict is made. “If the plaintiffs seriously believe that energy production needs to stop now, they should be directing their advocacy at Congress, not wasting the courts’ and the government’s time with this kind of nonsense,” he said. Other experts made similar points. Plaintiffs’ arguments in the newest motion are likely to go nowhere, according to Steve Milloy, a lawyer and the publisher of JunkScience.com, a website dedicated to fleshing out faulty science designed to push hidden agendas. “They can’t meet the standard for a preliminary injunction — i.e., imminent and irreparable harm,” he told TheDCNF, referring to the legal scrutiny required to force the government to stop dolling out leases. Such a move would also have a disastrous effect on the economy, Milloy added. The plaintiffs — young people in between the ages of 11 and 22 — asked the court to issue the injunction before March, when the Trump administration plans to offer nearly 80 million acres of unleased areas off the Gulf of Mexico. Their case has been held up for months. The U.S. Supreme Court in November 2018 decided not to block the lawsuit — the move came less than two weeks after Chief Justice John Roberts granted the government a stay in October 2018. The court’s order said the government should seek relief before the 9th Circuit.